The important pages of the new history of the Slovaks were written in the years 1848 and 1849 in the mountains of Myjavská pahorkatina. In September 1848, in Vienna, the Slovak Volunteer Corps was formed that set off across Morava towards the territory of Slovakia. More than 700 Slovak volunteers chased the troop of the Hungarian guardsmen. 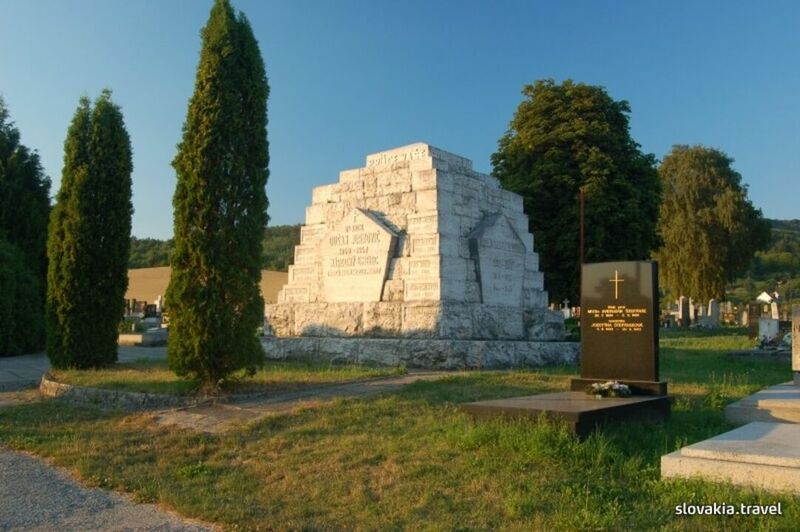 This memorial place of the first armed meeting of the Slovak Volunteer Corps at Brezová pod Bradlom in 1848 is commemorated by the Memorial of the Dead. It has a form of a stone pyramid and was designed by a prominent Slovak architect Dušan Jurkovič.